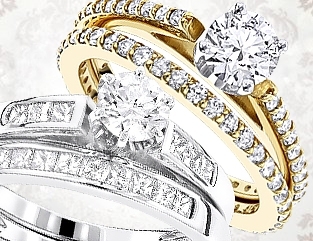 Shopping for engagement rings doesn't have to be an exhausting ordeal and empty your bank account in the process. Rather than spending weeks going from store to store in search of the right ring at a reasonable price, you can shop from the comfort of your home at ItsHot.com. 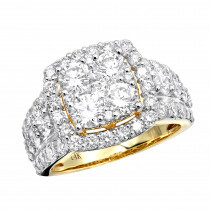 At ItsHot.com, you'll find a vast selection of diamond engagement rings and other premium-quality jewelry at wholesale prices. This often translates into hundreds of dollars less than what you would have to pay at any retail store. Best of all, the old adage of "you get what you pay for" doesn't ring true here. 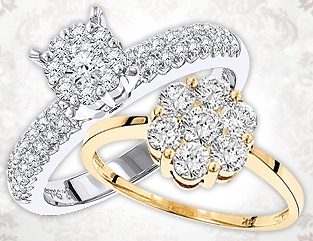 All of our diamond jewelry is made with one of the precious metals: solid gold, sterling silver or Platinum and authentic diamonds of exceptional beauty. 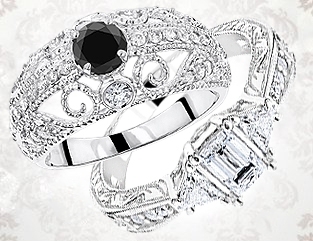 Explore a variety of Platinum Engagement Rings at ItsHot.com, hundreds of designs to choose from classic to modern diamond engagement rings! 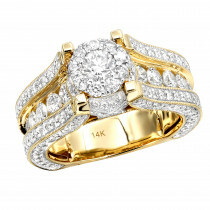 Find the diamond engagement ring or bridal set of her dreams from our selection of Gold Engagement Rings. 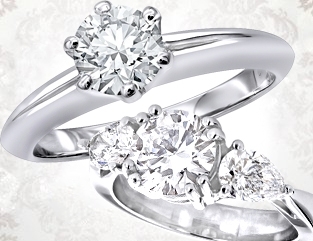 From classic solitaires to vintage style engagement rings to meaningful three-stone look and and many more. 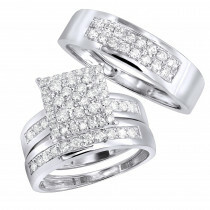 Our very affordable Sterling Silver Diamond Engagement Rings are unique engagement and promise rings great for somebody on a budget. Choose from a variety of styles and designs to find your favorite one! We have taken care of your engagement rush by creating a breathtaking collection of the Preset Diamond Engagement Rings available in 14k or 18k yellow, rose, white gold or Platinum our pre-set diamond engagement rings are made to impress and for any budget: from unique engagement rings to solitaire engagement rings to very cheap engagement rings. 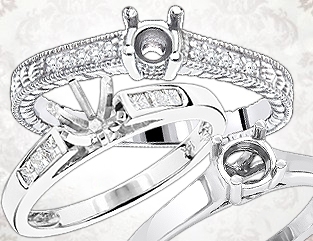 Halo Engagement Rings are one of the hottest engagement ring designs today. 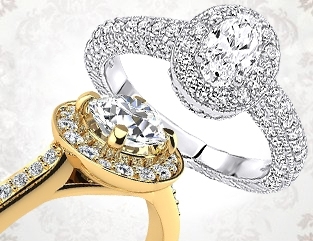 Whether you are looking for gold or platinum engagement ring you will find a great variety of halo designs in our collection. 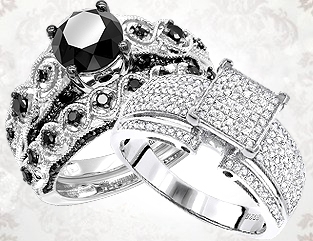 Browse our gorgeous Vintage Style Diamond Engagement Ringss of heirloom-quality, with striking designs and elegant touches. 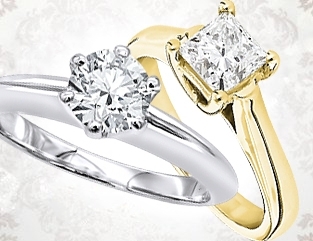 Select a classic Solitaire Engagement Ring in you choice of 14k gold, 18k gold or Platinum! Any woman would love to own and wear a Three Stone Diamond Engagement Ring, a classic, elegant design with trio of diamonds reflecting light from dozens of facets. Intriguing designs, fancy color stones, and sparkling diamonds: select your amazing engagement ring from our Unique Engagement Rings collection: your bride-to-be deserves an engagement ring that reflects her beauty as well as her unique style and personality! 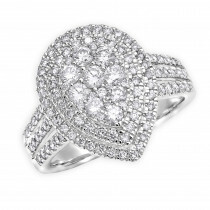 You can still give a diamond engagement ring she always wanted even if you are on a budget! 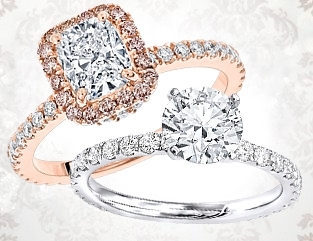 Choose from our collection of Affordable Engagement Rings to find one that matches her style. 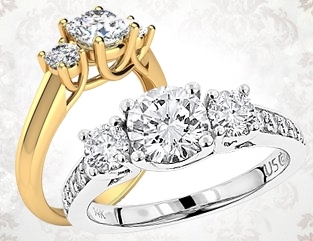 Our romantic Diamond Engagement Ring Sets are designed with love and feature exquisite diamonds set in lustrous 14k gold, 18k gold or Platinum. 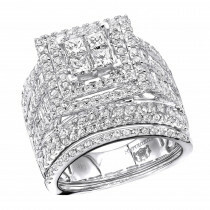 Diamond Bridal Ring Sets and Wedding Ring Sets include a diamond engagement ring and one or two diamond wedding bands. 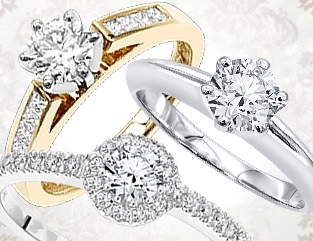 Choose the perfect Diamond Engagement Ring Setting she will absolutely love. 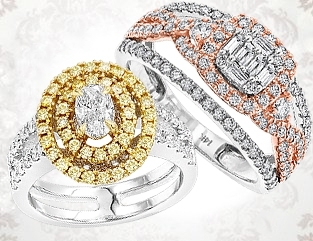 Our Diamond Engagement Ring Settings or Ring Mountings are available in white gold, yellow gold, rose gold and Platinum.